Known as a passionate, informed educator and innovative, creative choreographer, dance professional Dayna DeFilippis is a graduate of The University of Arizona, where she attended on scholarship, having earned her Master of Fine Arts Dance degree with an emphasis in choreography (2013). Her most recent professional endeavors were choreographing Crane River Theater’s productions of Wizard of Oz and Oklahoma! In Kearney, NE. Other Crane River pursuits include choreographing Shrek The Musical and Footloose The Musical as well as serving on the Board of Directors. Dayna was the Dance Director at the University of Nebraska, Kearney for the past three years, where she taught dance appreciation, jazz, tap, ballet and modern. While there, she directed the experimental and conceptual concerts, It’s Essential, Art IN Motion, When Planets Align, (Dis) Connected and Synergy with two touring performances to the Ramsey Theater stage at Wayne State College in Wayne, NE. Dayna is also an active member of the National Dance Education Organization, where she will present two research projects at this year’s national conference in Washington, DC. She has also presented workshops at Region V of the Kennedy Center American College Theatre Festival and the North Central Regional Conference of the American College Dance Association. Prior to pursuing graduate studies, Dayna worked in the industry as a teacher at private studios throughout the Midwest and director of youth performance companies and public outreach programs; she completed both her Bachelor of Fine Arts Dance degree and Bachelor of Business Administration degree at The University of Iowa (2003). 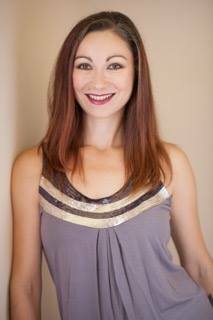 Dayna is excited to join the Cary Ballet Conservatory faculty and share her expertise and love of movement.